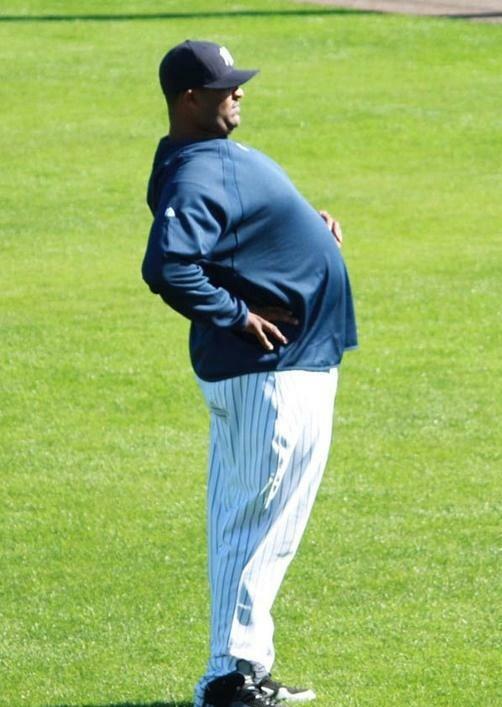 BREAKING NEWS: Sabathia is fat. It looks like a $160 million isn’t enough to get a gym membership in New York these days. Either that or CC is with-child. It could really go either way on this one. Though, to his advantage, I think it’s safe to say that Sabathia is not taking steroids. That makes at least one Yankee clean. Yay progress! Oh, and now Johnny Damon and Xavier Nady are poor. A single tear rolls down my cheek. He can’t afford a shirt, shoes or a shave. Poor guy. You are currently browsing the archives for the pregnant man category.